Alicia Quintano's writing workshops encourage participants to create their own stories in a variety of styles. The stories are like charms on a charm bracelet, reflecting the personality of the writers in short memorable narratives. Using brainstorming, outlining, and an entertaining warm-up game Alicia invites and encourages participants to tap their memories (and imaginations) to create short, sharp stories from their own experience. There's nothing like a suspenseful story for engaging upper elementary writers and audiences. In this very structured classroom writing workshop we borrow elements from traditional mysteries (and ghost stories) and make them our own. "Who Wrote the Whodunit? You Did!" was much enjoyed by the older children. You really inspired creativity and excitement about writing in this workshop." "How Did Thunder Come to Be?" Students work in teams to create their own legends of how things came to look and be the way they are. From the New Paltz Times: "Lenape Principal Audrey Wood was thrilled to have Quintano work with her school's third graders. 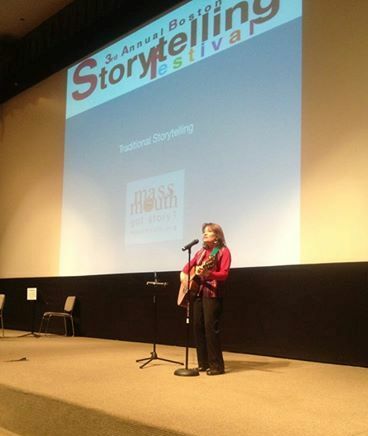 'Not only was her storytelling an enjoyable experience for our students, but they also benefited from her guidance as they crafted their own tales, drawing upon their learning about stories from around the world...'"
Click here for our contact form or call 978-281-6304 for more information. Copyright 2019 Alicia Quintano. All rights reserved.